The Trio of investigators; Jupiter Jones, Pete Crenshaw and Bob Andrews are old friends from my childhood. It has been wonderful to see my own children now enjoy these mysteries. This trio of ‘crimebusters’ will at times use the the help of the entire teenage population of their town to solve crime. 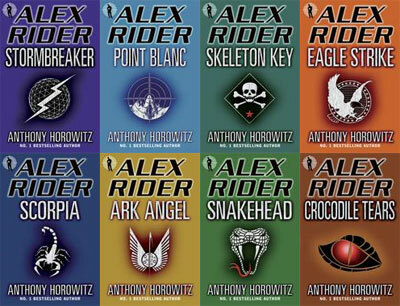 Short books, of eight to twelve chapters, aimed at the emerging reader. Battle Boy is a combination of science fiction, action packed adventure and history. In each book the young hero ‘Napoleon Bonaparte’ embarks back into time, to solve unique mysteries, we are introduced to people, places and dates which are woven into each title. Another mystery series from my own childhood, brothers Frank and Joe Hardy, sons of a Lawyer enjoy detecting for their Father. Lots of action, our boys laugh at the unbelievable plots at times but enjoy them nevertheless. 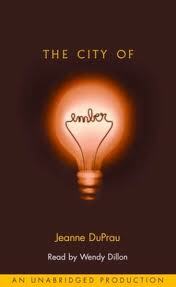 The four Books of Ember tell the story of an underground city where it’s always dark. There’s no sun, no moon, no light at all unless the electricity is on. And the electricity is beginning to fail.Is there a way to save the people of Ember? We follow the adventures of the residents as they find a way to solve their problem and life after, above ground. We found the third book in the series, The Prophet of Yonwood boring, but really enjoyed the others. Adventure/fantasy with animal characters set in the English countryside with many battles and food fests. The quintessential battle between good and evil. 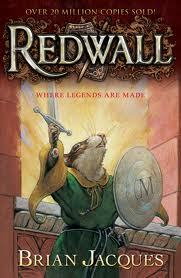 We became Redwall fans when our oldest were 10, eagerly awaiting each book in the series. There is a huge fan club.with lots of ideas and cooking recipes. Adventure stories full of camping and sailing. Includes lots of diagrams, maps and related information. Written in 1930 these books engender a big fan club. 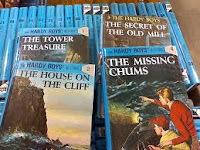 Our older boys enjoyed these for a short time about aged 10, but they have long lost their popularity. Short Mysteries. The central character Encyclopedia Brown has an encyclopedic knowledge and an unerring ability to solve crime, his Father is the Police Chief and often turns to his son (and his band of loyal friends) for aid, unknown to the town. Another short chapter book which has been loved by all my boys as they make the transition as emerging readers. Someone has been sending subliminal messages through television and radio broadcasts. They are undetectable by most humans, so though people are receiving and reacting to these messages, they’re not aware of that fact. Mr. Benedict IS aware. He’s a scientific genius who has figured out a way to translate and record these messages. The team of four unlikely child heroes have to work together to solve this mission before they themselves can’t resist the messages anymore. All four children have unique talents, but they don’t know how to work as a team or even how to be friends. 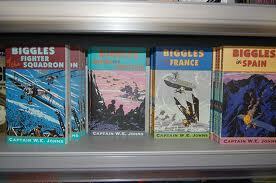 These books were most popular with our second son.